Virtual reality is an experiment that helps distract the mind of patients from excessive pain and stress. Know how virtual reality can help patients manage their pain. Despite being in and out of hospitals since the age of 16, one of Harmon Clarke's biggest fears is having an intravenous line inserted into his arm. The 34-year-old resident of Los Angeles has had more than 30 surgeries related to his Crohn's disease, but getting stuck with an IV needle has never gotten less stressful. "Because of my Crohn's I get really dehydrated, which makes it really challenging to get an IV in," Clarke said. "One time, literally eight different IV nurses had come into my room trying to get a line in, and I'm in tears. I can't do my procedure or surgery until we get this done, and it was just like a nightmare." So that day he tried an experiment. As part of a research project at Cedars-Sinai Medical Center, Clarke had been given a virtual-reality headset at the bedside to use when he felt pain. It was programmed with immersive, multisensory 3-D content designed to distract patients from pain. Clarke popped the VR headset on, and his bustling hospital room was immediately replaced with the natural, calming beauty of Yellowstone National Park. He relaxed - and a nurse was able to get an IV started for him in no time. Since then, he has used the VR headset for IV insertions, blood draws, breakthrough pain between scheduled doses of medication and even insomnia. Erin Martucci, 42, tried virtual reality for the first time in a very different but also incredibly painful situation: During labor. For the birth of her second child, she told her obstetrician that she wanted a natural birth, without an epidural or any pain medication. But as her labor quickly progressed, fear and anxiety began to take over. "I could tell the contractions were coming quicker, and . . . I started panicking a little bit," said Martucci, of New Hampton, New York. "I started teetering, like, 'Oh, my God, I'm not going to be able to do this.' "
Before going forward with an epidural, her doctor offered her a VR headset. The doctor "put the apparatus on me, and I was immediately in a beach scene and being comforted by the audio of a woman's voice going through the breathing with me," she said. "Having the visual and narration definitely calmed me down and took away that anxiety, and I knew that I could do it without the epidural." After almost two hours of labor, the doctor removed the headset. It was time for Martucci to push and deliver her baby. Within a minute, she gave birth to a healthy girl. "I was, like, 'What's going on? Why are you taking this away now?' Because we didn't talk ahead of time what was going to happen, I really thought that I was going to use these goggles as I'm pushing my baby out!" she said. The VR "helped me get through what I was so fearful of - like that I wasn't able to do it - and I delivered my baby without any assistance of drugs." Clarke and Martucci represent a growing number of patients treated with virtual-reality distraction for pain in a hospital setting. Cedars-Sinai has used the technology on more than 2,500 patients since 2016, more than any other hospital in the world. Martucci's obstetrician-gynecologist, Ralph Anderson, who practices at Orange Regional Medical Center in Middletown, New York, has helped more than 50 women ease pain during childbirth with VR. And Los Angeles-based AppliedVR, a company that sells a VR kit and creates its own therapeutic content, has partnered with more than 100 hospitals, including Inova Mount Vernon Hospital, Boston Children's Hospital and Children's Hospital Los Angeles. "Virtual reality is part of our culture now, so it's not as alien of a technology as it once was. I think people look at it as an opportunity to deliver better patient care," said Jeffrey Gold, director of the Pediatric Pain Management Clinic at Children's Hospital Los Angeles, which began using VR in 2004. "Maybe VR can complement a lower dose of pain medication or will eliminate the need for medicine altogether for some patients, which would be optimal." Researchers began to explore virtual reality as a therapy for pain in the late 1990s, but the expensive and bulky equipment prevented it from gaining popularity. Today's VR systems are more affordable, lightweight, smaller and comfortable. Many use a smartphone for the display and hardware, which can cut costs. This wave of new and improved devices - along with a growing opioid epidemic that has left physicians scrambling for better options for patients experiencing pain - has sparked a renewed interest in VR distraction therapy. "We're interested in understanding how we can use different technologies to improve the patient experience in ways that don't require more drugs, and VR is one of them," said Brennan Spiegel, director of health services research at Cedars-Sinai. A number of recent studies have attempted to provide evidence that VR distraction therapy works. In 2017, Spiegel and colleagues published a controlled trial testing the effects on pain of a 3-D VR experience vs. a 2-D nature video on a TV screen in 100 hospitalized patients. Although both methods lowered perceived pain levels, patients in the VR group reported a greater reduction in pain, on average, than the TV group. 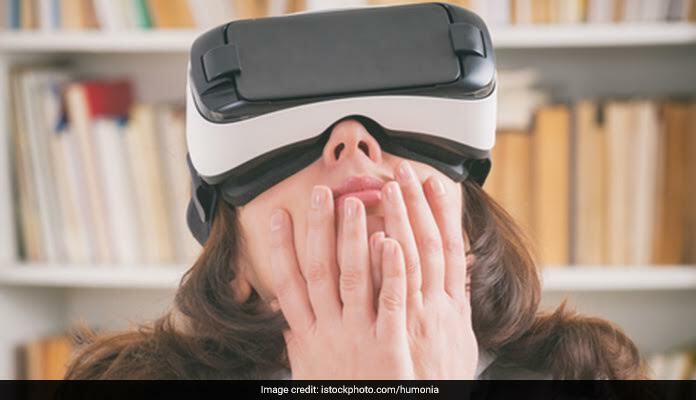 Also last year, a randomized controlled trial by Gold and colleagues found that, out of a group of 143 children, the half who wore a VR headset during blood draws reported experiencing less pain and anxiety than the half who didn't. Other studies, which have focused on patients with cancer, fibromyalgia, chronic pain and burn injuries, have found similar results. 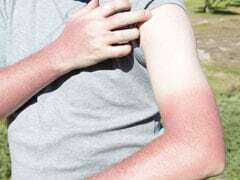 "I have worked in burn care for 18 years and come to the conclusion that narcotics are not enough," said Theresa McSherry, a nurse practitioner at the Oregon Clinic in Portland. "One particular patient was a real challenge, a young man who had burned 100 percent of his body, and the drugs weren't working for him. There wasn't a whole lot I could do for him, and that unfortunate experience really challenged me to look outside the box for future patients." McSherry connected with VR researcher Hunter Hoffman at the University of Washington, who began testing VR for pain applications in 1996. He helped her acquire equipment to test with patients needing wound care. The pain level of these sometimes hours-long procedures - removing old dressing, cleaning the wound and applying new dressing - is extremely high. As a form of distraction, her patients put on VR goggles and played "SnowWorld," a game that immerses patients in an icy polar world where they can throw virtual snowballs at penguins and snowmen. The environment is meant to be a cooling antithesis to the patients' burns, while the game aspect distracts them from the pain. In a study involving 18 patients, McSherry and colleagues found that VR reduced the amount of opioid medication requested from patients by 39 percent during wound-care procedures compared with a control condition without VR. The clinic still uses VR regularly to manage pain in both inpatients and outpatients. "VR is not going to resolve the opioid crisis, but it's useful to have in our toolbox to help people be less dependent on medication in the early stages," she said. "This is a tool with potential to teach pain desensitization and coping that may allow a burn survivor to return to a better functional status." According to VR's supporters, the idea is not for patients to wear a headset whenever they feel pain - which, for some, would mean a lifetime immersed in a virtual world. Instead, VR applications can teach people to manage their pain in the real world. Clarke, for instance, has learned enough relaxation skills through VR that he can forgo the headset for minor procedures. Although some programs, such as "SnowWorld," are meant to simply distract, AppliedVR offers modules that each cover a different topic, such as breathing techniques, mindfulness and positive thinking. These modules also incorporate heart-rate and breath-sensor data to provide users with biofeedback. "Virtual reality can train and convince a person that they have governance over their body and their experience. It demonstrates that the brain's response to injuries can be manipulated in a positive way," Spiegel said. A VR system consists of specialized goggles that cover your eyes completely, replacing your view of the real world with a computer-generated environment. The headset tracks your head movements, so you can freely look around the virtual world. Sometimes it includes headphones for full audiovisual immersion or handheld controllers that allow you to manipulate objects. In the best-case scenario, all these inputs add up to a sense of presence. In other words, VR can make you feel as though you're relaxing on the beach when you're really sitting in a hospital room. "The brain is really bad at living in two realities at once. Evolutionarily, we've never had to think about living in two realities, and everything about our brain and our body is designed to live in this reality," Spiegel said. "So if we're in virtual reality, the brain now has a substitute reality, and the brain takes it as real because it can't easily also think of the other reality." Despite the growing excitement, a number of challenges and barriers remain for virtual reality as a pain management tool. The cost of equipment, while steadily decreasing, remains high for a largely unproven technology. For instance, Facebook-owned Oculus recently released a stand-alone VR headset for use in gaming at home with a starting price of $199 - a substantial drop from a previous model, which originally sold for $599. Cheaper VR headsets use your smartphone's display and hardware for less than $20, but they lack the quality and features of their more expensive counterparts. More important, researchers say not enough large studies have been done to prove VR's effectiveness. "If you have a serious medical problem, you want the evidence to know that this technology is going to work, especially for patients who just have to buy the equipment outright," said Anita Gupta, an anesthesiologist and pain specialist at Princeton University. "I think there's more that has to be done regarding research, and we need to investigate whether or not this is truly a viable tool in the inpatient setting." "Definitely the older people tend to be a little more suspicious and resistant. They'll say things like, 'I'm too busy' or 'I'm too tired.' Or they'll say, 'Hey, are you trying to experiment on me? Is this like a mind experiment?' " Spiegel said. "However, the paradox is that we've actually seen older patients have more profound pain reduction [using VR] than younger people." VR distraction therapy may not be for everybody or work for every condition, but patients such as Clarke and Martucci swear that the technology has been a game-changer for their pain. Martucci recommends virtual reality to mothers-to-be in her community and would happily use it again if she were to have another baby. And Clarke loves what VR does for him, though he still experiences pain daily. "Pain medicine is definitely a necessity. It's a part of my life right now, while we're getting this thing under control," Clarke said. "But I also do everything from acupuncture to massage therapy to aquatherapy. I'm on the constant lookout for something alternative with no side effects, and so this virtual reality was a true blessing for me because it really helps."